How Do You Change Colors While Knitting? Changing colors while knitting is simple. 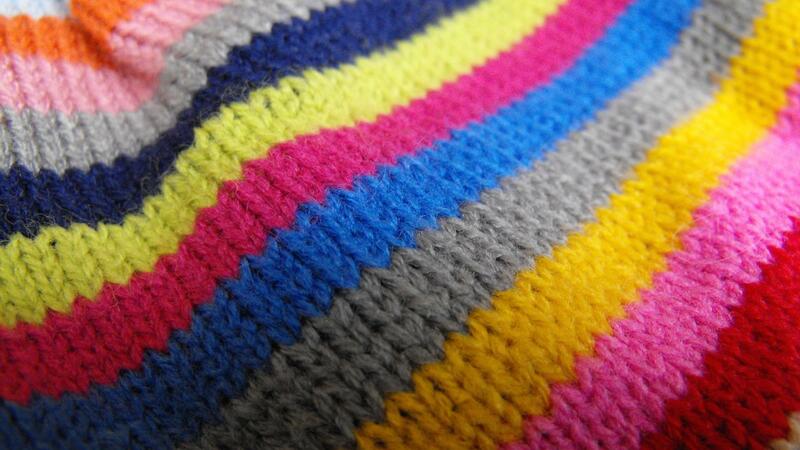 In order to change colors while knitting, just hold the new color the same way the original yarn was held. Knit the project as normal. When the time comes to add the new color there are two ways this can be approached. Joining the colors is one of the ways that the new section of color can be started. Take the new yarn and hold it in the place of the original yarn. Then begin to work the yarn into the rest of the pattern. It is recommended to start with the tail of the old yarn. Doing this will make the yarn more secure and prevent loosening as the pattern continues. If you knit the yarn right into the pattern to change colors, beginning the new color at the end is unnecessary. This method can create a smoother transition with the colors. Pair the tail end of the old yarn with the new yarn. Wrap both of the yarns around the right needle and knit as usual. Knit two or three stitches and then remove the old yarn. Turn the project over and tie a knot with the ends of the yarn. Then continue knitting as usual. What Is "casting On" in Knitting? How Can You Learn Different Knitting Abbreviations? What Are Some Easy-to-Learn Knitting Stitches? How Do You Read a Basic Knitting Pattern? How Do You Bleach Sand Dollars? What Is a Crochet Twist Stitch? Where Can You Find a Knitting Pattern for Newfoundland Mittens? Where Do You Find a Chart on Knitting Needle Sizes? What Are Some Common Knitting Abbreviations and Their Definition?